I read an excellent article by Alan Torbet recently in the BSHAA News. Alan is the Chief Executive of BSHAA (British Society of Hearing Aid Audiologists). The article entitled “Are we really consumers for our own healthcare”(1) was based around the relationship built on trust between our Patients and ourselves. It struck me as an excellent article particularly the theory, postulated by David Peel and Alan, named the Torpel Curve. The theory simply states that establishing and maintaining trust between client and practitioner is the essence of a long-term professional relationship. They argued that the effort needed to build a client base was disproportionately more than the effort needed to retain them by forging a relationship built on trust, superlative service and quality care. they warned that just as the entry point is steep, so is the departure slope and without a system to deal with any relationship issues that arise, the client it took so long to win is gone in an instant. I think their theory is succinct, elegant and correct as it applies to not only our profession but many others. In essence, this theory succinctly explains why Patient retention strategies are essential in modern Practice. Put simply, it cost you a lot in real terms to capture a Patient. That cost can be measured in money, time and effort, it costs you much less to keep them. The article got me thinking about trust and engendering trust. How are we to engender trust in prospective Patients? At what time is the engenderment of trust important in the purchase decision process? What strategies can we bring to bear? What exactly does engender trust in our prospective Patients? These are weighty questions, our whole business strategy may hinge on the answers. Trust is a psychological state, so it follows that we are trying to sway or set someone’s perception of us and our business. So we need to undertake actions to set that perception. Those actions will engender or result in trust. We need to begin the process at the first contact that the prospective Patient has with us. I say begin, because engendering trust is about little wins that combine to the goal. The major issue for us here is where does that first contact happen? It may not be in our branch, it may not even be on the telephone with us or our staff. It could be in the news media, it could be on the web or it could be via an existing Patient or another prospective Patient. When you consider all of the routes that a prospective Patient may have their first contact with you, especially the ones where you don’t really know it has occurred, your head may begin to spin. This presents real issues for us as a business, because we can not necessarily control that first contact, we need to ensure that everything we do and everywhere we do it engenders trust. Now that should set your head spinning, at least enough for now. 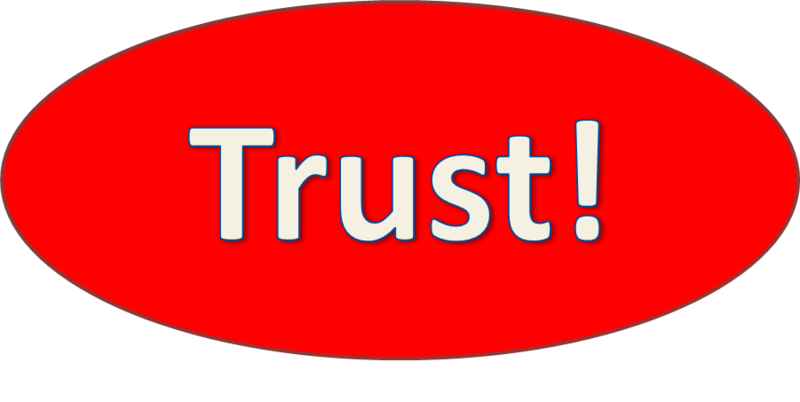 In the next post I would like to explore concepts or tactics that engender trust. (1). Are we really consumers for our own healthcare, page 10, BSHAA News, Winter 2012. Hearing Healthcare, Trust in healthcare. Bookmark.